In this series, we help out the bumper crop number of cannabis lovers who can legally grow a pound, so they can save themselves money and ensure a clean harvest. Up next: the second of three blockbuster strains, Gelato. Creamy, berry, potent, and beautiful—Gelato was Leafly’s Strain of the Year in 2018 for a reason. This Cookies family offspring rocks the socks off heavy, sedative cannabis lovers. Gelato was born in San Francisco in the early 2000s from parents Thin Mint Cookies and Sunset Sherbert. Cookie Fam breeders Jigga and Mr. Sherbinski tried to closely hold the Gelato strains, but they still spread into the wild via bagseed and clones. Counterfeiters who promised true gelato goodness to unsuspecting newcomers also proliferated. Here’s where and how to buy legal Gelato seeds and clones—growers call ‘em “genetics”—in America’s legal cannabis markets and beyond. You can find the full Gelato genetic advertised for sale at online seed banks. I Love Growing Marijuana lists Gelato seeds for sale. Seed King sells the cousin of Gelato, Sunset Sherbert. Royal Queen Seeds sells a “Green Gelato” and Barney’s Farm sells a Blue Gelato #41. Keep in mind, online retail legality varies by state and country. Check state laws to know what’s legal. Seed banks outside of the US claim to sell them for “souvenir purposes,” but it is illegal to bring seeds into the US. 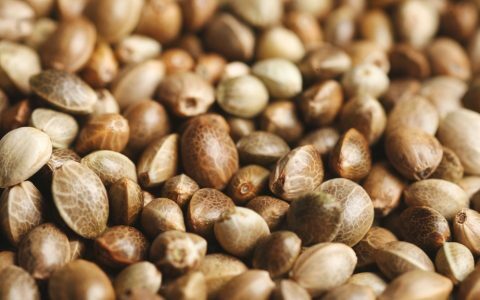 Customs will seize cannabis seeds they locate in packages or on a person. If you want to stay 100 percent legal, California, Oregon, and Colorado might be the easiest places to score Gelato genetics. Search for Gelato seeds and clones among the nearly 500 licensed recreational stores and delivery services scattered across the state. Often you’ll find Gelato’s parent strains, or its new crosses for sale. You’ll need to bring cash and a valid I.D. showing you are 21 or older. Licensed breeder DNA Genetics carries a “Gelato Sorbet” that crosses Gelato #33 with Sorbet. You can find DNA Genetics seeds statewide at stores like La Florista in Weed, CA. Licensed, in-state breeder The Cali Connection will also get you close to Gelato with a “Mint Milano” strain spotted at HPRC in Arcata, CA. The Cali Connection also sells crosses of Gelato like the “Tiramisu” strain that crosses Wedding Cake and Gelato. Cali Connection’s “Bellini” strain mixes Gelato and Purple Punch — yum. Licensed breeder Equilibrium seeds is also working with parts of Gelato, and sells multiple Sunset Sherbert crosses like “Sherbet Glue”. Spotted at CannaCruz in Santa Cruz and Mercy Wellness of Cotati. Lastly, licensed breeder Humboldt Seed Co. advertises a “Humboldt Gelato Bx3” crosses like Vanilla Frosting and Lemon Grass. Humboldt Seed. Co seeds are available statewide. Gelato breeder Mr. Sherbinski told Leafly that growers should wait for authentic Sherbinskis Gelato seeds — out in 2019 through Humboldt Seed Organization and Dinafem. Oregonians age 21 and over have world-class access to legal seeds and clones under the state’s adult-use and medical cannabis legalization laws. Oregon breeders specialize in true classics like Durban, and Chemdawg ‘91, but you’re also likely to find Gelato’s parents and offspring for sale in licensed stores. The Greener Side in Eugene, OR, carries seeds by breeder Exotic Genetix, who works heavily with the Cookies strain family. Scoop up their seed packs of “It’s-It” (Gelato X Mint Chocolate Chip) and “Jet-A” (Gelato 33 X Tina) immediately. Popular breeder Bay Exclusives also lists multiple Cookies crosses for sale like Tiramisu Cookies. Bay Exclusives seeds can be found at High Quality in Corvallis, OR. Looks for Cookies relatives of Gelato as well as new crosses in this major seed-selling state. Rocky Mountain Blaze in Pueblo, CO carries Tyrian Kush seeds from breeders The Bank, which crosses Gelato and their Fall ‘97. Lucy Sky in Denver, CO carries Dark Horse Seeds, makers of the “Samoas” strain that’ll get you close to Gelato. Only qualified medical patients in Washington may cultivate cannabis for personal use, so licensed adult-use retailers do not carry seeds and clones. Qualified patients with a “recognition card”—as well as cooperatives—can purchase seeds from state-licensed cannabis “producers.” State regulators suggest calling each of the 1,400-plus licensed producers to see who will sell to you. For example, licensed producers Fine Weed sells to medical patients and collectives. Nevadans can legally grow up to six plants at home, but only if they live more than 25 miles away from a dispensary. We’re not seeing seeds or clones for sale in Nevada’s licensed, adult-use retailers. Gifting is legal in Nevada, so friends, online forums, and community events might be your best bet. Residents of the District who are age 21 or older can grow up to six plants, but they can’t buy seeds or clones in licensed, adult-use stores. Congress has blocked funding to allow commercial adult-use cannabis sales in Washington, DC. 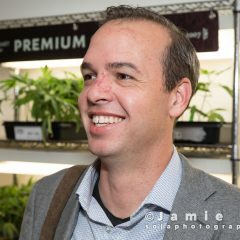 Informal cannabis community meet-ups in the District can get you on your way. Gifting cannabis among adults 21 and over is legal in Washington, DC. Maine legalized adult-use cannabis in 2016, but failed to implement commercial sales since then. Maine residents 21 and over can grow up to six mature plants, but must get creative about how they obtain those seeds or clones, including going to events, asking friends, or meeting Maine gardeners in online forums. Maine has no timeline to implement the will of voters with regard to legalization. Massachusetts legalized home-growing up to six plants in 2016, but did not start commercial sales until October 2018. Very few retail store options exist and those store generally do not list seeds or clones for sale yet. Adults 21 and over can gift each other cannabis, though, so turn to medical growers and friends, cannabis events, and online peer-to-peer platfroms to get you through 2019. In 2018, Michigan voters legalized home cultivation of up to 12 plants—which is a lot! However, no retail adult-use outlets are open to sell you seeds or clones in Michigan yet. Gifting is legal, though, so grower friends, cannabis community events, and online forums will be your best options until commercial adult-use sales begins in early 2020. New Leaf Medicinals in Chickasha, OK has seeds for dessert strain Lava Cake and Snow Cone. Alchemy Gold Healing in Oklahoma City, OK has other dessert strains for sale in seed form like London Bridge, Crumpets, and Grape Stomper. Seeing Gelato seeds or clones on sale near you? Shout them out in the comments!